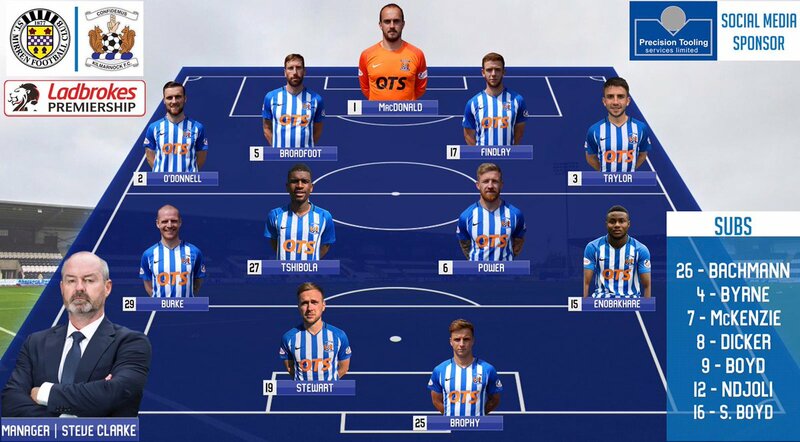 MacDonald, O'Donnell , Broadfoot , Findlay, Taylor, Burke, (K Boyd 67), Power, Tshbola, Enobakhare, Broby, (Dicker 73), Stewart, (McKenzie 81). 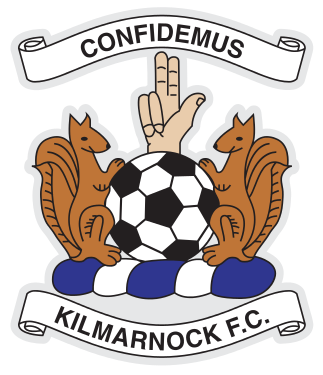 Killie came from behind to win for the fourth match running and moved third in the Premiership as Oran Kearney's search for his first win as St Mirren manager continued. Adam Hammill's free-kick evaded everyone to give the Buddies the lead. Mounting pressure from Killie told with Alan Power's sumptuous shot and Aaron Tshibola's header (right). Simeon Jackson had a goal disallowed for offside and the Paisley side remain second bottom of the division. They have picked up only one point from their five matches under Kearney and have scored just twice during that period. By contrast, Steve Clarke's winning run continues and his Kilmarnock side remain three points off leaders Hearts and trail Celtic only on goal difference. Steve Clarke: "It’s a bad habit, it’s a habit we need to work on and get rid of but it was good character again. 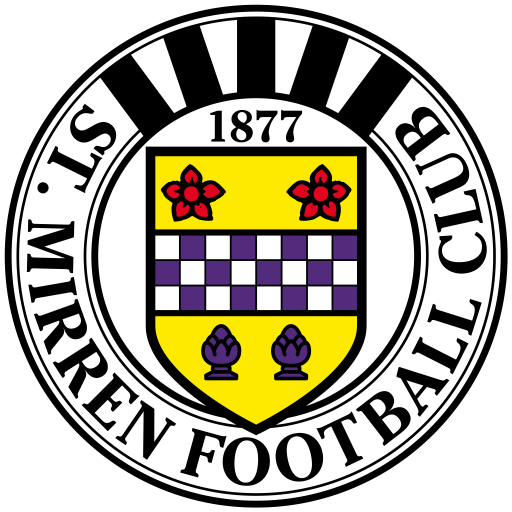 I thought St Mirren were really good first half, they got about us at the start of the game and disrupted our rhythm a little bit and stopped us doing what we are good at. We had a little chat at half time, put one or two things right and second half I thought you saw the true Kilmarnock team. It was a good strike, Alan (Power) doesn’t get very many but fair play to him if there is a shooting session at the end of training he is always there hitting them. He normally hits them well and it was nice for Alan to get a little reward. "The second one was good. When you’ve got good players then they make decisions on the pitch which sometimes work out. It was a clever quick corner and good ball to the back post and a good header from Aaron. I can’t tell but the boys in the dressing room say it was over the line and the linesman was quite clear that it was over the line. I said to the players that it’s difficult to win four games in a row in the Scottish Premiership and we’ve managed to do that. We’ll keep our feet on the ground, keep working hard with another difficult game next week against Hamilton. Nothing is easy. We’ll try and make it five wins in a row if we can without underestimating our opponents."